After Shenmue II on Xbox, I thought I would never experience a game so rich in storytelling it would shut me off from the outside world again. That was until I played Mass Effect, a new IP from Bioware and the same company that gave us Knights of the Old Republic. 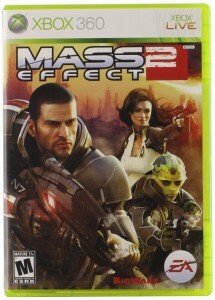 When Mass Effect 2 was released I pondered if they kept their promise of my actions affecting the outcomes of this game. As former pro wrestler Daniel Bryan would say, “YES, YES, YES!” Every conversation I had there were moments when my actions from the previous game would be brought up. Those moments made me happy because games like this show that everyone will have a different experience based on their choices. Heck, even things I did on my side quests were mention. My favorite moment will always be hearing the theme when you are choosing what planet to go to. The music does a great job with giving that exploration feel. It also helps that the character’s personality helps you get to know your crewmates, which made me feel bad when a teammate died because of my mistake. I had a blast having my Commander Shepard be a leader and falling in love (Tai). After playing the sequel, the added DLC kept me busy until the third game would be released.